Love the third sweater with jacket!! Love these outfits. They are very stylish. Lovely colors. The last dress is so pretty. So cute!!! I love 3.1 Philip Lim!!! Thanks for your comment on my blog!!! I'm in love with turquoise blouse! Agreed! I'm absolutely in love with his entire pre fall collection! love all the images and styles there. nice <333 nice pieces. so lovely styles. CHANEL & OPI Giveaway !!! oh yes totally! i'd wear all of em! I'm a sucker for straight lines and masculine details! 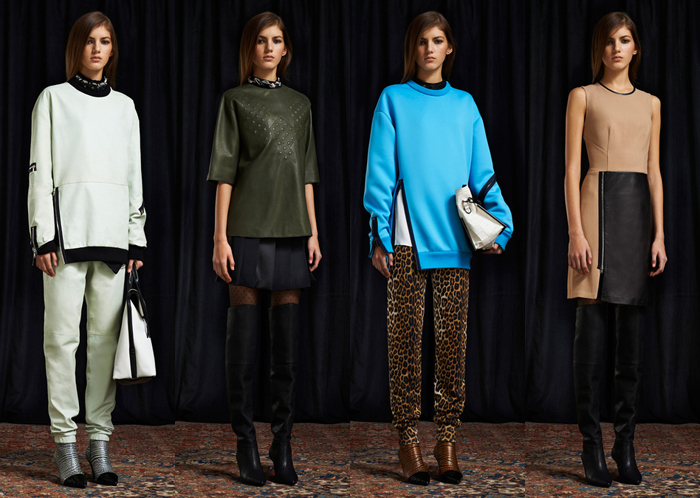 Phillip Lim does it so well. I love all of these peices he is so talented! copy cat, u r so lame. I think I'm a bit classic, love the second and the last! Swoon, he designs such great, classic pieces! In love with this collection, he is one of my fav!